BPS Research Digest: How does stress affect your public speaking skills? 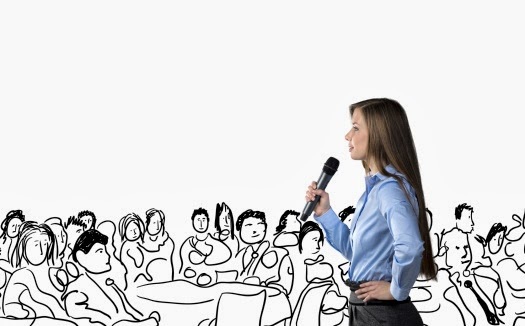 Having to give a talk or a speech in front of a large group of people is one of the scarier things we might find ourselves having to do at some point in our lives. In those situations, ideally we want to give a flawless, well-rehearsed delivery, and getting too stressed is often linked to becoming – literally – lost for words. But is there any actual evidence for this link? Tony Buchanan and colleagues have recently investigated what sort of aspects of speech and language are affected in stressful versus non-stressful situations. They asked 91 people to participate in a social stress test, in which they had five minutes to prepare a speech, and then immediately deliver it. In the stressful condition, they had to imagine that they had been accused of shoplifting, and had to prepare a defence that they would deliver to the ‘store manager’ (an experimenter). Immediately after the speech, they were given a difficult mental arithmetic task. In the non-stressful condition, people spent five minutes preparing a summary of a travel article, which they then had to read aloud to a video camera. Immediately after, they completed a much simpler arithmetic task. Buchanan’s team measured levels of the stress hormone cortisol in samples of saliva taken before the test, plus 10 and 30 minutes afterwards. They also measured heart rate, the speed at which people spoke during their speech, as well as the number of pauses and the number of ‘nonfluencies’ – words like um, er, and hmm.